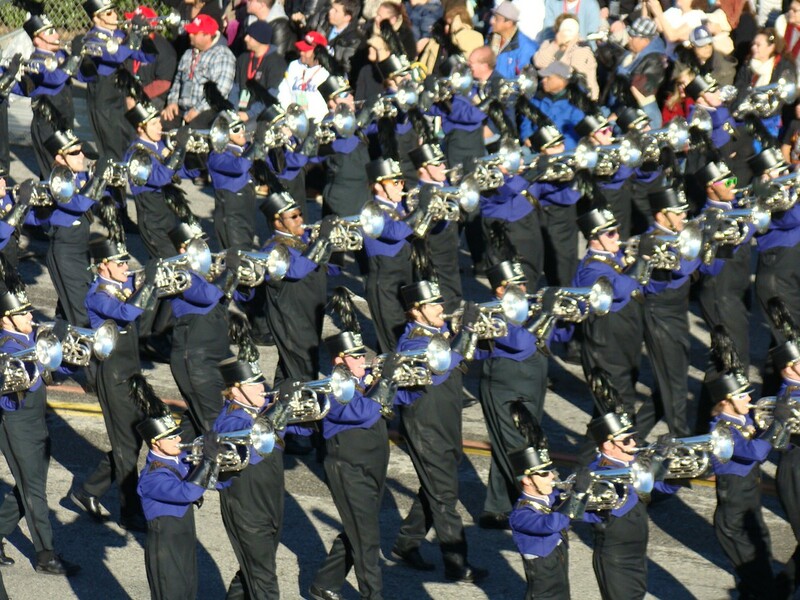 Enjoy comments from WCU students who marched in the 2011 Rose Parade and the fans who went to see them. Several comments reference the sharp turn in the 5.5-mile route – a 110-degree turn on to Colorado Boulevard. Parents of Lindsey D. Entrekin, a freshman clarinet player from Greensboro, said they were excited to come to the Rose Parade and that the college bands that marched really set the bar high for marching bands. “I have been nothing but impressed with the band and their talent ever since I saw them for the first time, and I am as proud as if I were a parent of a member of the band,” said Hilda Leonard of Ramseur, who came to the parade with friend Kathy Parham, whose daughter is in the band.